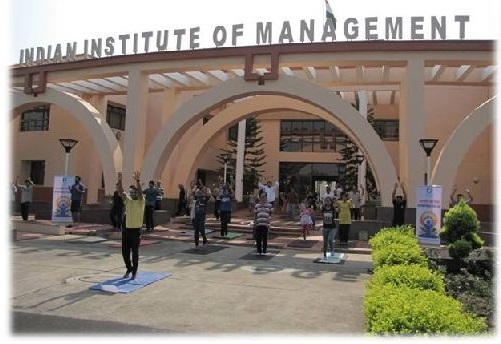 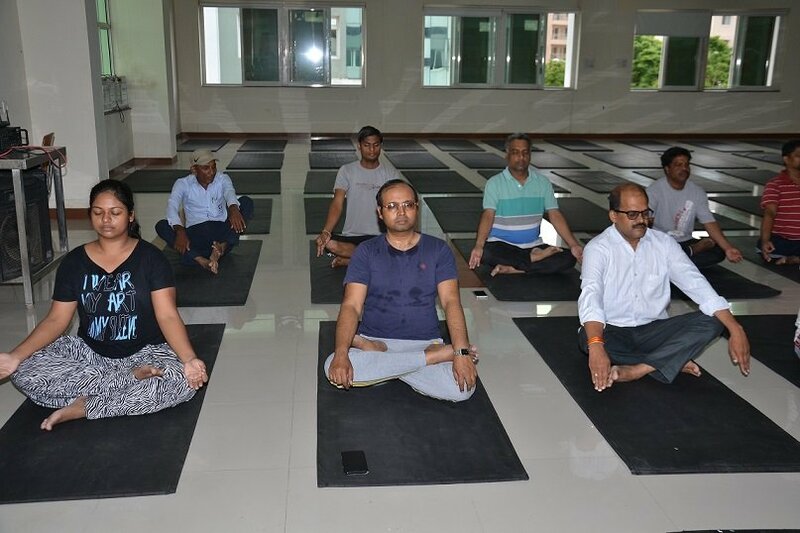 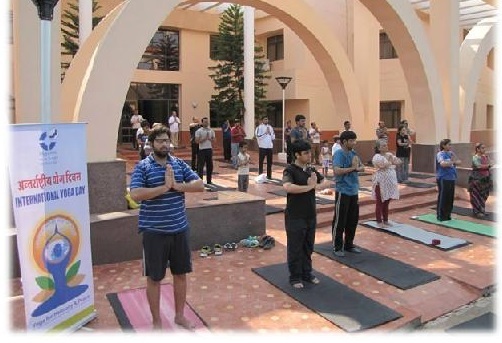 With its inception in the year 2015, IIM Indore celebrated the third International Yoga Day on June 21, 2017. 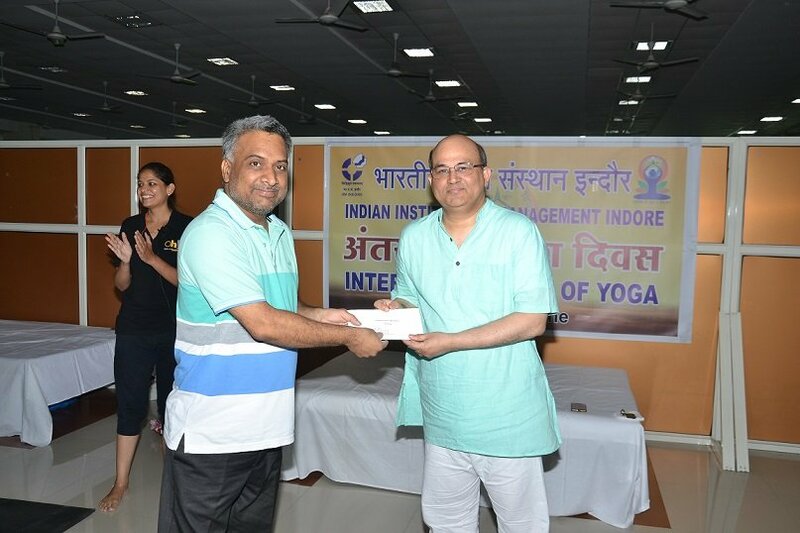 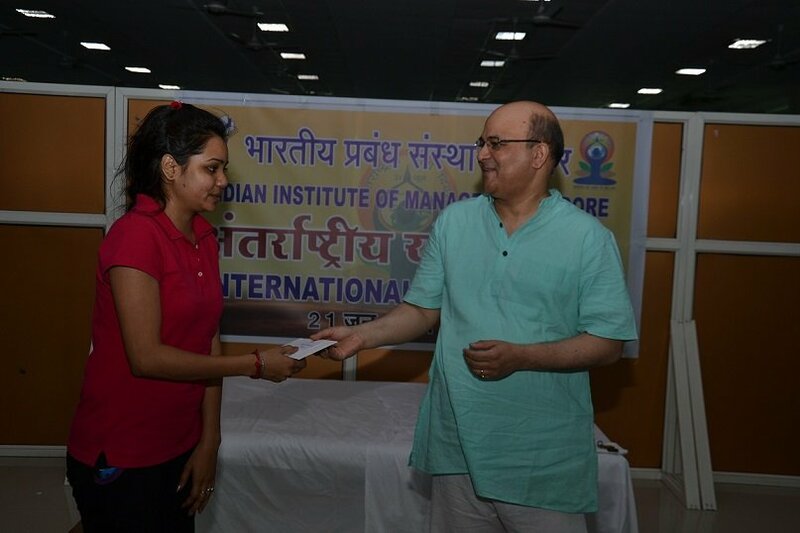 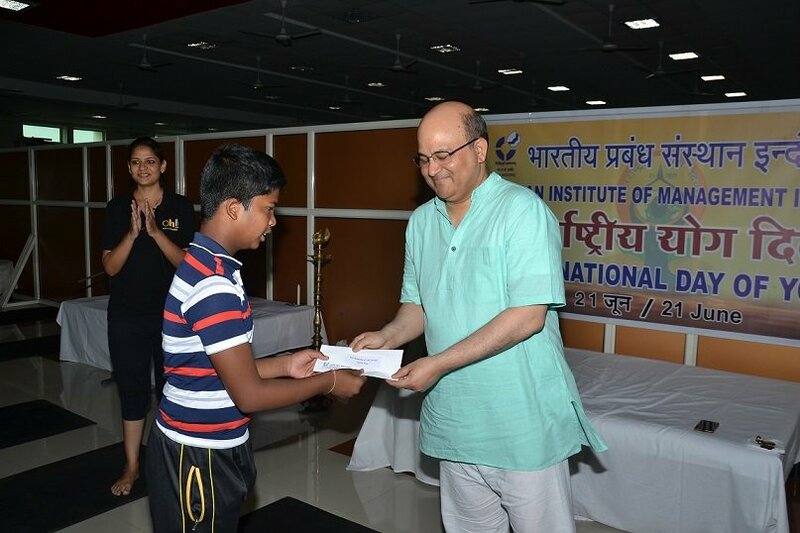 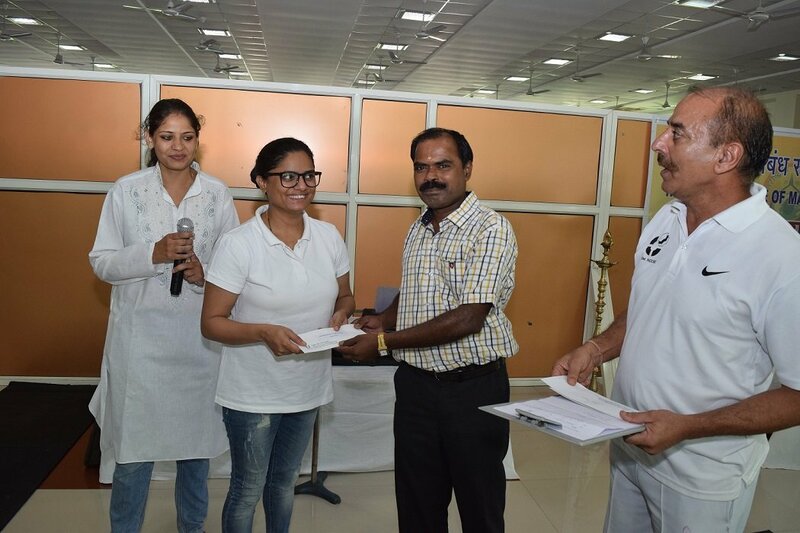 The event witnessed enthusiastic participation from all the members of the IIM Indore community including students, faculty, staff and their family members. The event began with the formal lamp lighting ceremony and Yog Geet. 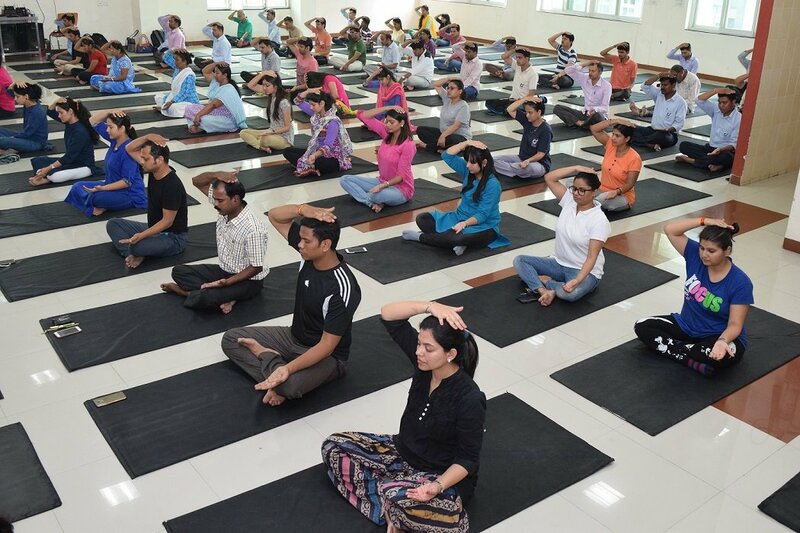 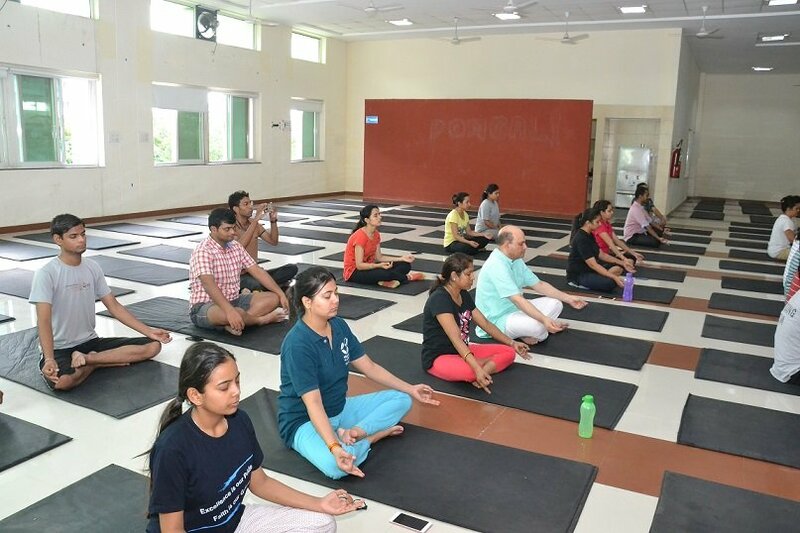 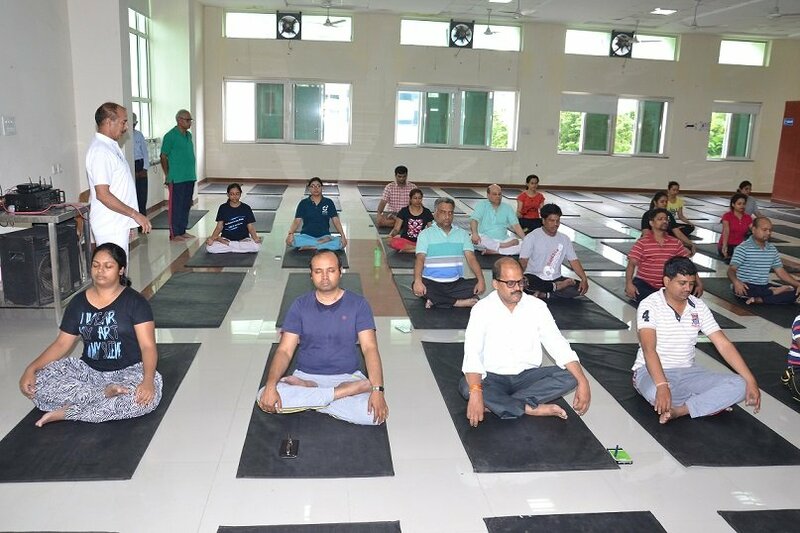 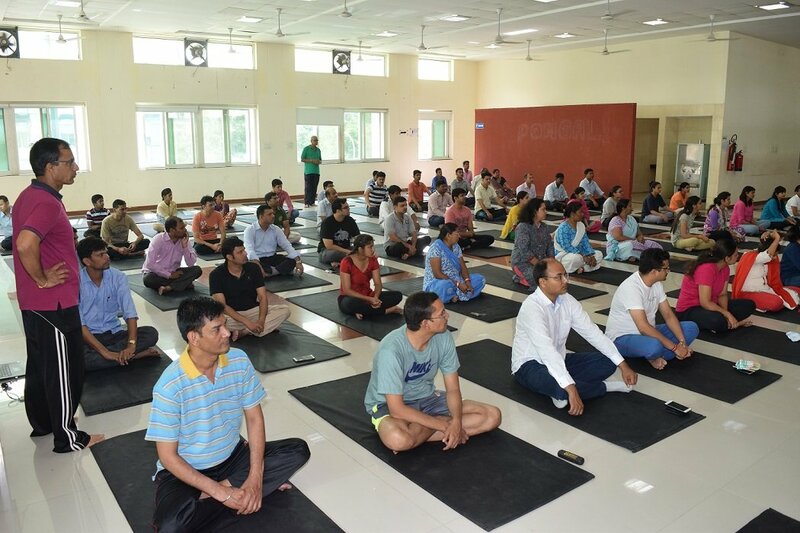 Trained Yoga Instructor Mrs. Jayshree Purohit conducted two yoga sessions during the event along with Physical Training Instructors of the Institute. 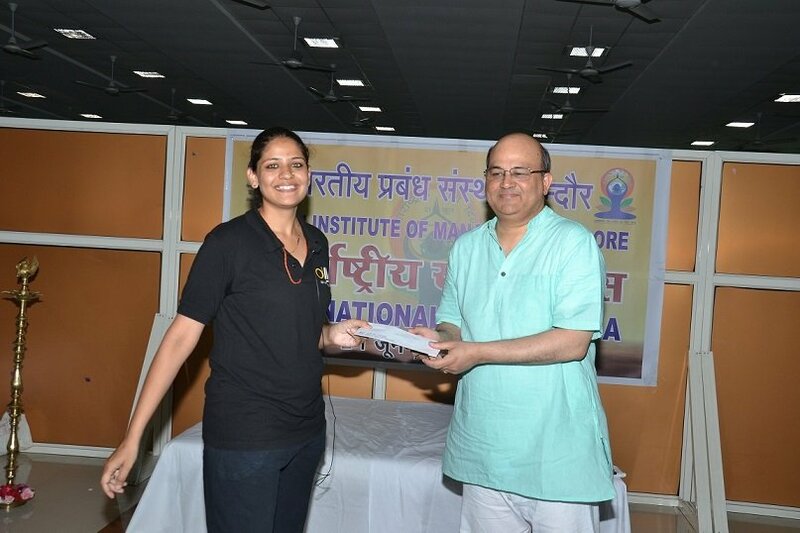 She taught various ‘aasanaas’ and explained their benefits related to physical and mental health as well. 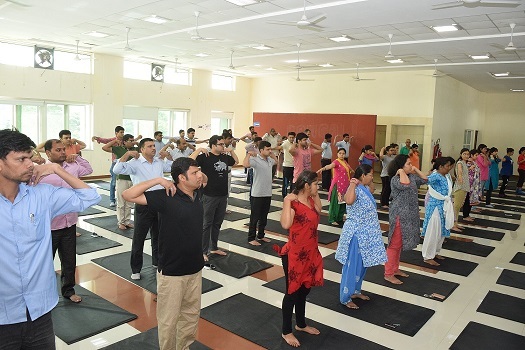 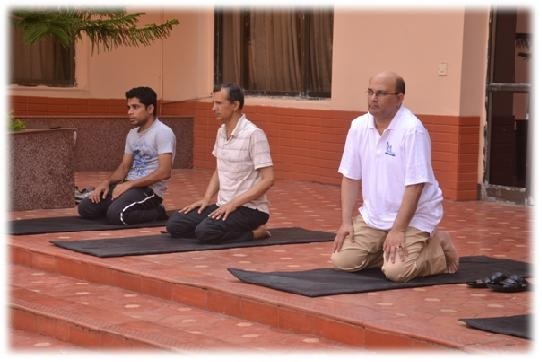 The participants practiced all the aasanaas with full determination. 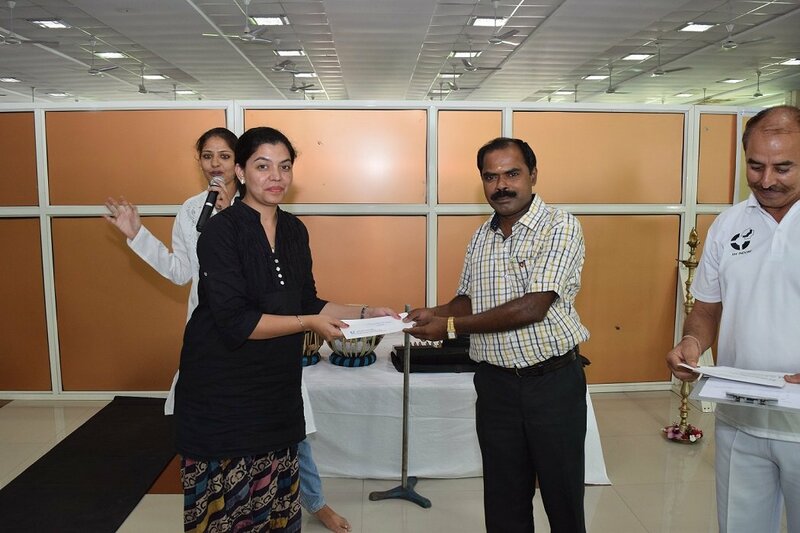 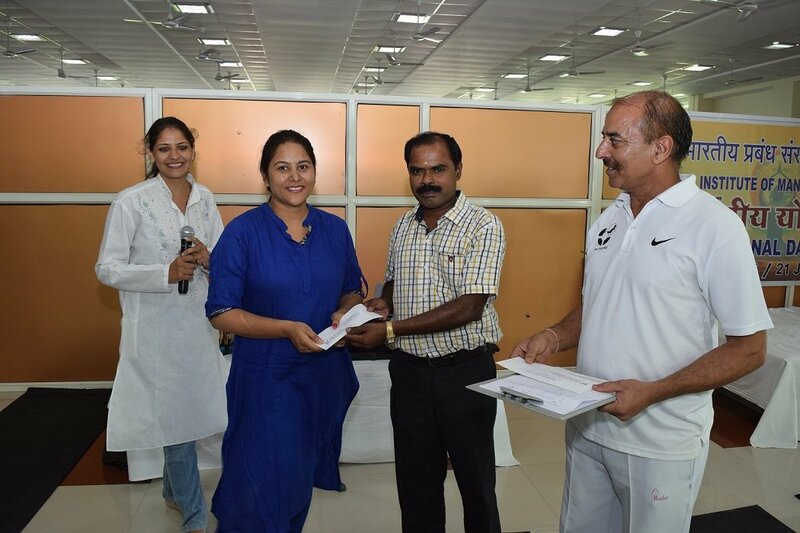 Prizes were also given to the best performers during the event. 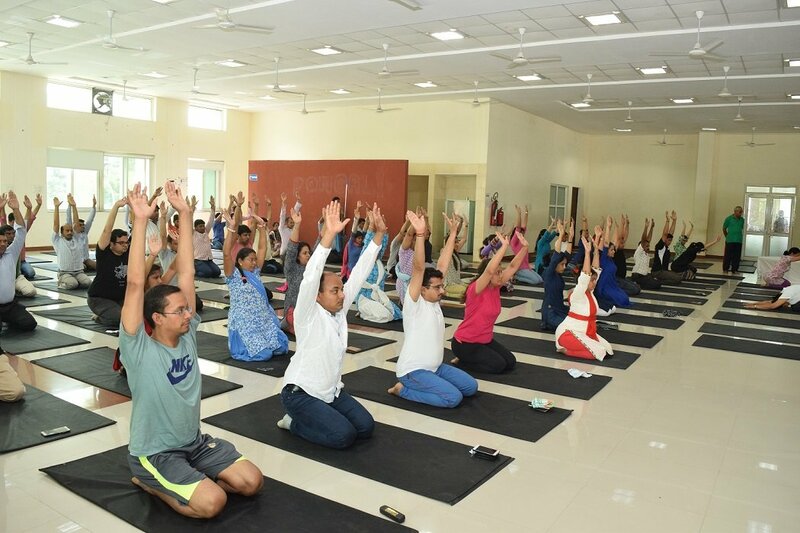 This was followed by Sahaj Yoga wherein the participants got a chance to learn various simpler aasanaas which can be practiced on a regular basis to keep the body and mind healthy.